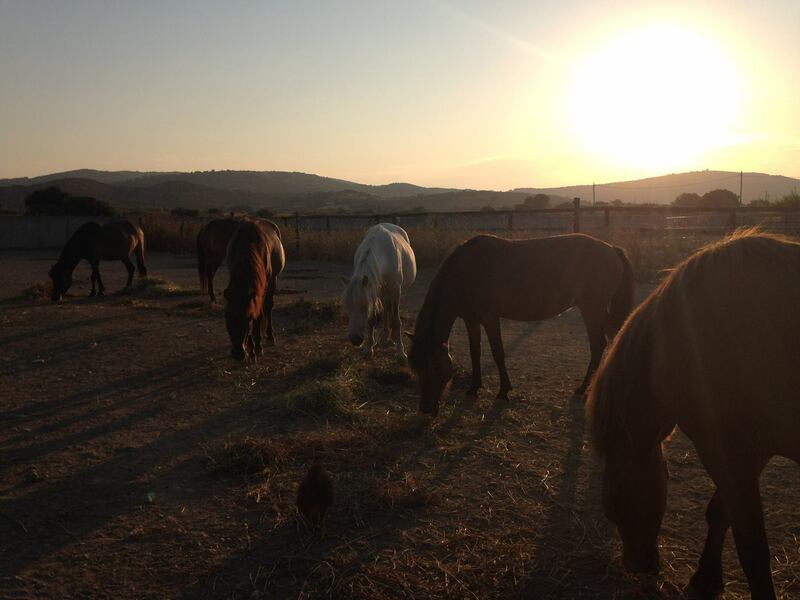 The boys relishing their hay! Hi everybody! The 2-leggeds, although great at looking after all of us 4-leggeds, are not so good at telling the rest of the world our news. 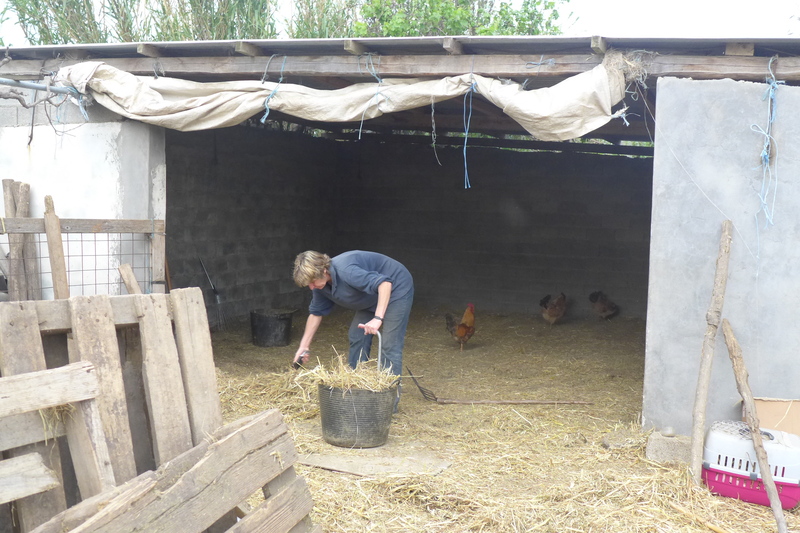 So I, Hermes, as the firstborn of the project, have decided to take it upon myself to tell you how things have been going since spring here at the farm. Firstly and most importantly an enormous thank you to all the amazing 2-leggeds who supported our hay appeal… Without your generosity our carers would be besides themselves by now. 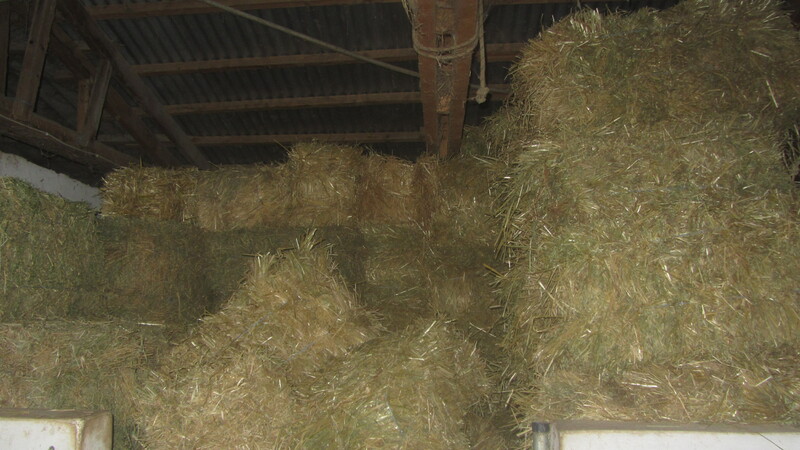 It is great that this hay year (we horses measure the year from April to April = horse food year!) 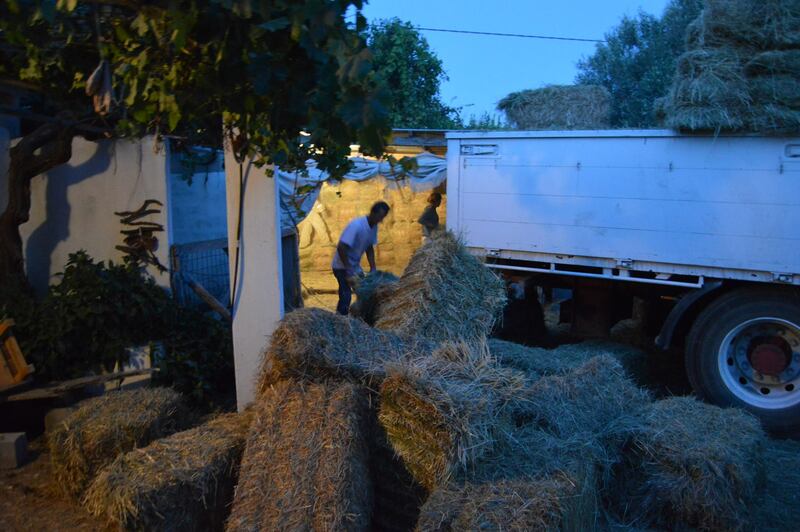 we have no worries about our hay supply and us 4-leggeds know that this is the most massive relief for our 2 main carers Stathis and Amanda. We hear them talking about something called a crisis, economy and lots of other words we cannot repeat here! But they know our food is safe and we eat an enormous amount of it and that gives them great relief. So we managed to get 21 tons at the end of April – that’s 980 bales, all on one lorry and an enormous trailer (which couldn’t get through the farm gates!) 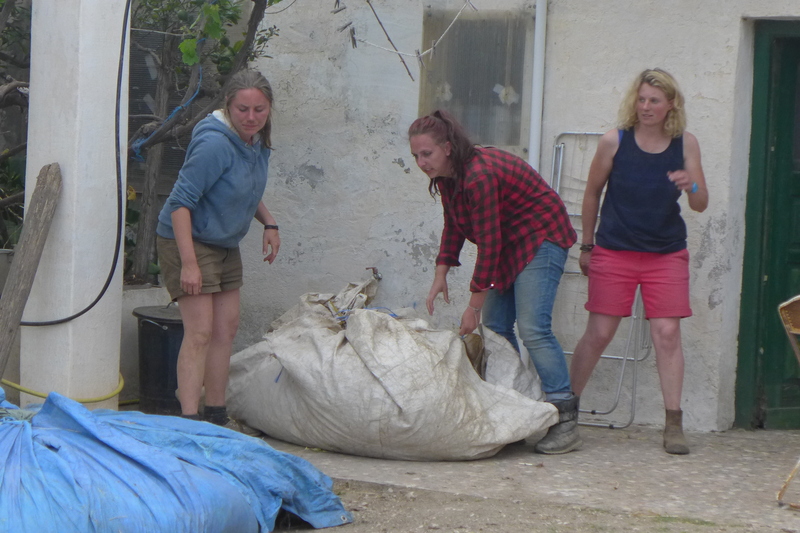 Rather a lot of expletives from the six-woman team (including a very special guest who I will tell you about later) it took to unload it, but they seem to have been written down in island history beginning the unloading at 10.30pm and ending at 5.30 am (they were not happy bunnies!). Cleaning up before 21 tons of hay arrives ! cleaning the hay barn argh!! 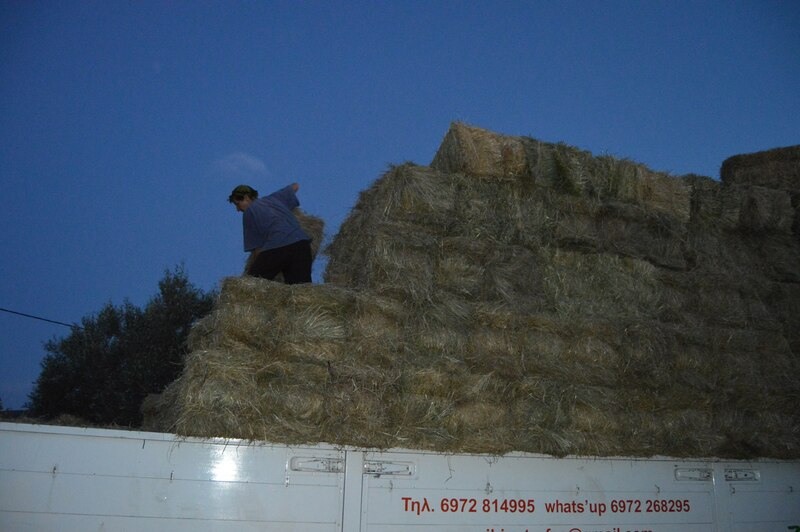 Next, another large lorry of 450 bales in August, not quite such hard work as before …. Phew!!! 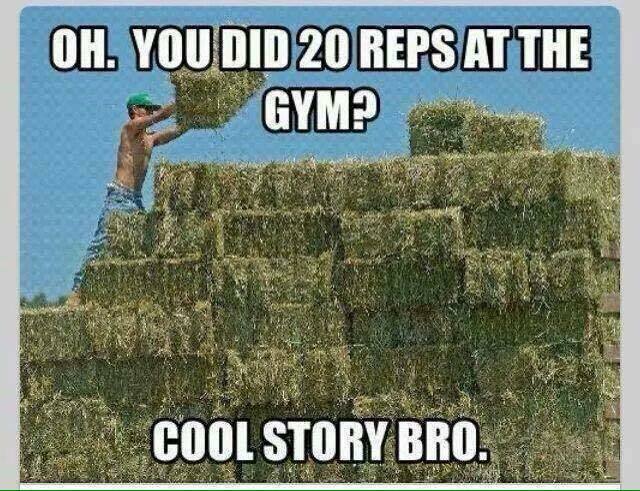 Alongside this we have a regular 3-weekly delivery of 60 bales of yummy oat straw every couple of weeks and the occasional bale of alfalfa for our lovely foal and oldies and needies …. We fatties also get to eat a bit of it, if we’re lucky! Got Man help this time August!!! The humans were also quite clever and ordered two more 11-ton lorries at spring prices to be delivered at the end of October and January. But the 2-leggeds do keep going on about capital control. We are not really sure what this is (neither are they) but from what my horse brain understands it made it hard over the summer for the trust bank account cheques which are in pounds sterling to be banked in Greece as Greek banks can’t honour them, apparently this has now changed which should make things easier…..
4-leggeds and 2-leggeds saying a massive thank you to all who helped with our hay appeal. 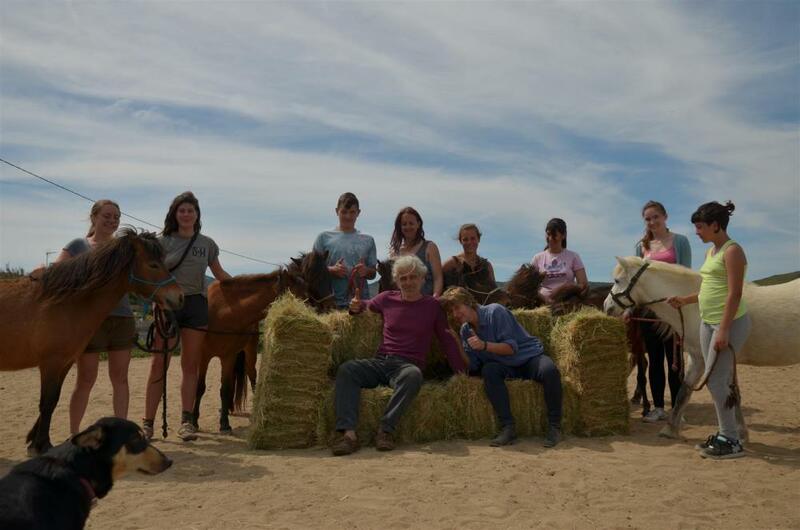 So we would like to thank a long list of such amazingly generous 2-leggeds who have helped in many different ways, who all in our minds are Skyrian Horse angels and without your support all forty of us 4-legged Skyrians would just not be able to survive. horseandman.com and the donations that came from the ‘Drop in the Bucket Fund’. We so hope that we haven’t forgotten anyone and if we have, we are really sorry – let us know so that we can add you to our list of supporters! 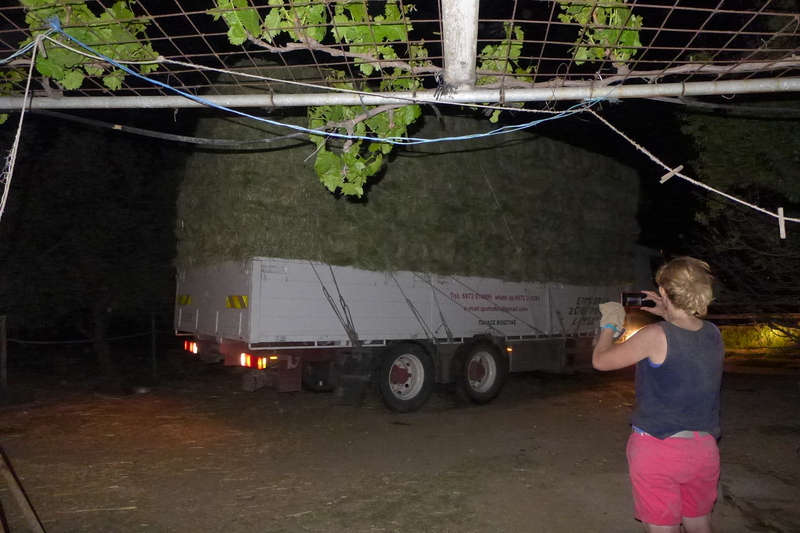 As we said earlier we had the most incredible surprise this year – along with the hay came Emma Massingale (I have to say her support in hay unloading was phenomenal – I am not sure she signed up for that!!!). One of the most incredible liberty trainers/horsewomen who is also massively insightful and really courageous came to visit the project for 4 days. 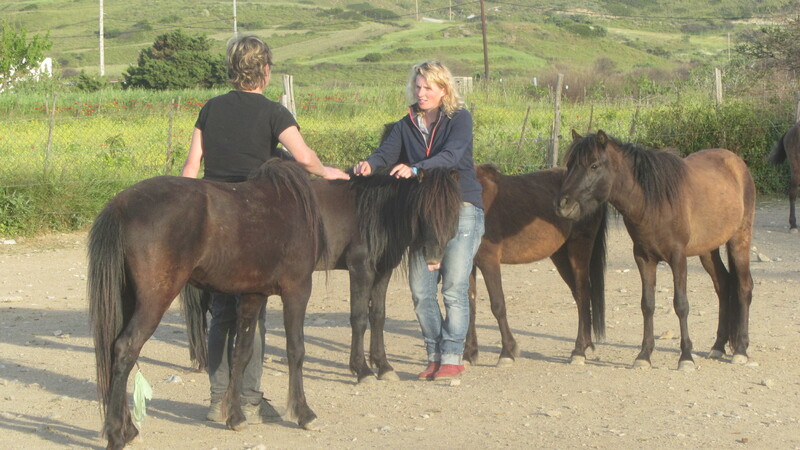 It was a wonderful learning experience for both horses and humans and a rare opportunity for us all, on this very remote island, to get such exceptional and expert training which enables the 2 leggeds to develop there work with us, and a great gift to meet a truly inspirational human. Some local young people were also able to particpate in a training session which they loved.This visit was only made possible by the enormous generosity of volunteers who we just cannot thank enough. You know who you are and you are all amazing and your gift will continue to caring on working for years that’s the value of education. Emma wrote a great blog about the project please see below. 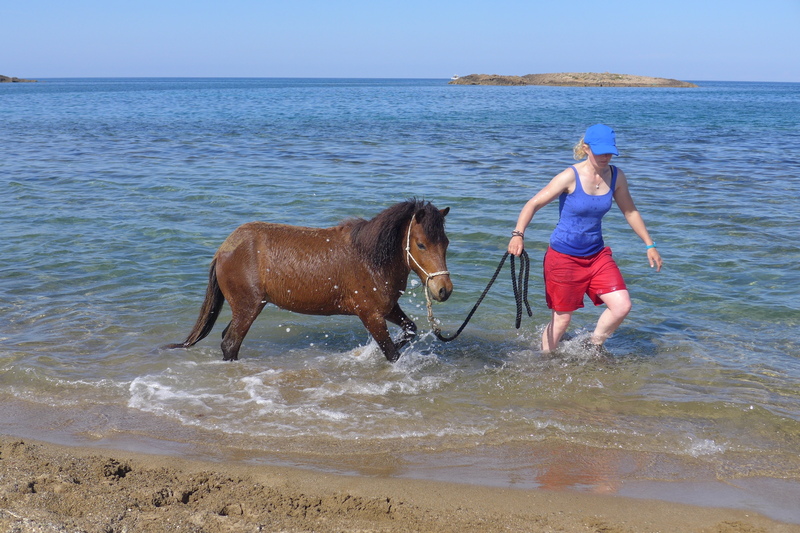 Read Emma Massingale’s blog for Horse & Country TV about her time on Skyros here! 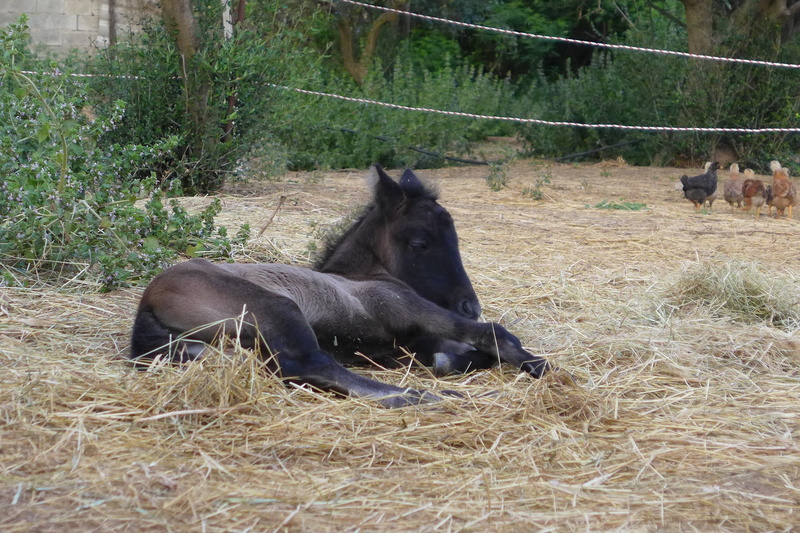 After nearly three years of not breeding, this year Maya was born on the 30th of May, to Meli and Tarpan. 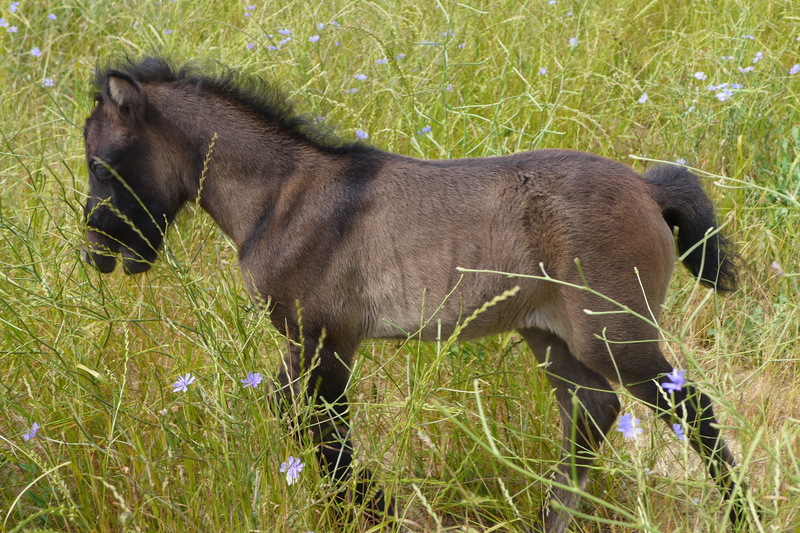 Tarpan’s first foal and a proud father he is and my first grandchild …. 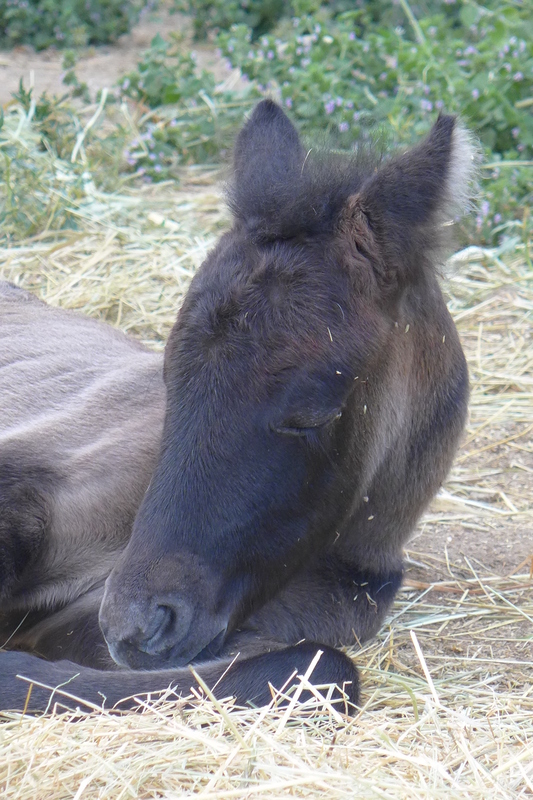 Maya is a whirlwind, she was up and running from the word go, with the Houdini spirit of her mother and sisters – within 2 hours of birth she managed to get into my field and was trying to find a drink from us geldings! 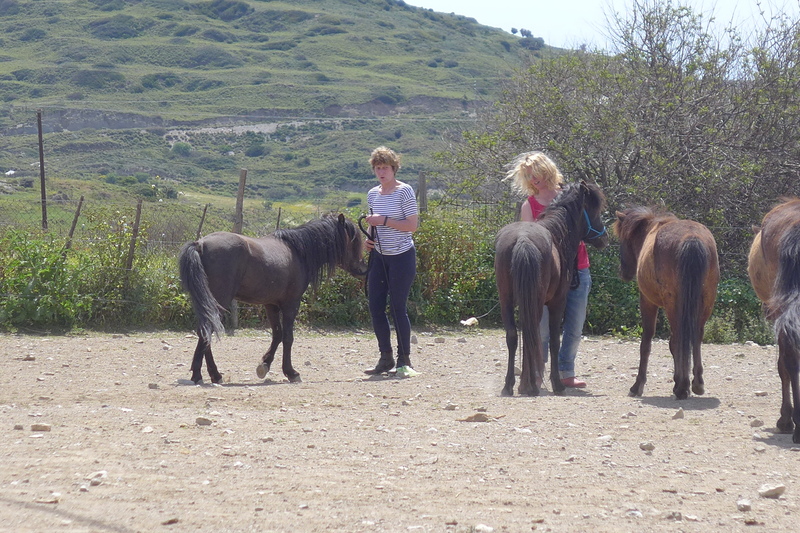 Luckily being super new men horses, of course we were very polite and told her to wait until the 2-leggeds came to get her out and back to mum. Maya has been hugely popular with all the volunteers and is rather spoilt. If anyone is interested in adopting here please do contact us. 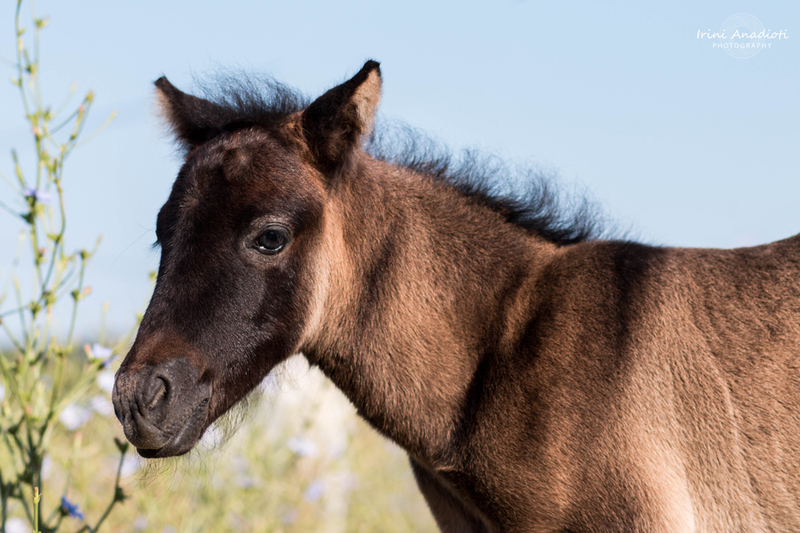 We are hoping that some of our older trained Skyrians will be finding new homes in the not too distant future, thus allowing some of our younger maiden mares and first time stallions to breed, increasing quality and introducing new bloodlines to the breed. But this is always done in a controlled way and with an enormous amount of forethought. 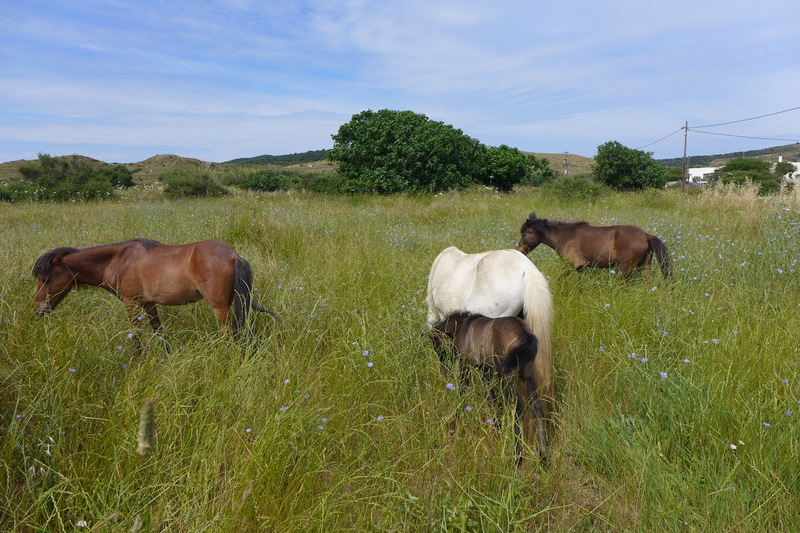 So when two older trained ponies leave for new pastures, two mares will get to be covered – we at all times want to balance between conservation and welfare. Summer news coming soon, watch this space … The festival etc, welfare work, and new developments!